The supplies collected will be distributed to benefit local Veterans throughout North Haven and other organizations that serve Veterans in need. 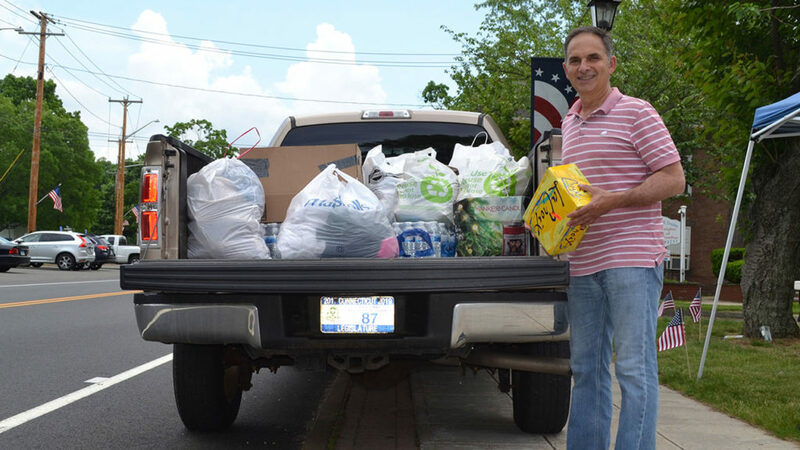 State Representative Dave Yaccarino (R-87) hosted a successful food and toiletries drive for Veterans in need in the community and around the state. The drive was held on Saturday, June 2nd at American Legion Post 76 located at 20 Church Street in North Haven. The supplies collected will be distributed to benefit local Veterans throughout North Haven and other organizations that serve Veterans in need. Supplies collected will also be donated to Columbus House to support a Veterans’ Services Program that provides assistance to men and women in New Haven, Middlesex, and New London counties who have served in the United States Military and are homeless or at-risk.